Most people don’t have a clue what goes on with USB 3.0 Certification (or USB 2.0 Certification). 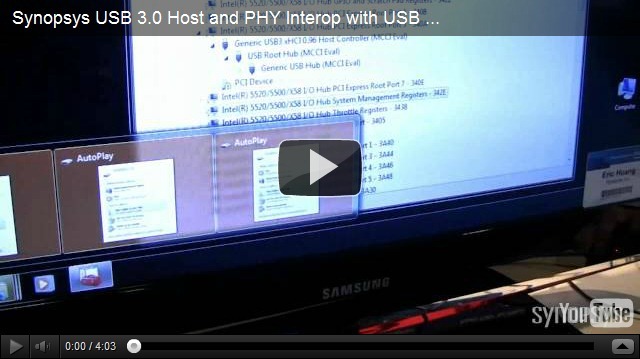 So here’s a video of our USB 3.0 xHCI Host interoperating with a whole bunch of USB products. These products are arranged into a USB Gold Tree as specified by the USB-IF. We use the MCCI USB 3.0 xHCI Host Stack running on Windows 7. To my knowledge, this is the only time anyone’s ever been crazy enough to post a video demonstration of the USB Gold Tree. You can see you need to work with USB 3.0, USB 2.0, and USB 1.1 Devices. And not visible underneath is a USB 2.0 Printer for more Bulk Out Transfers and Interrupt Transfers. In this way, it’s possible to test for all the different types of USB traffic. 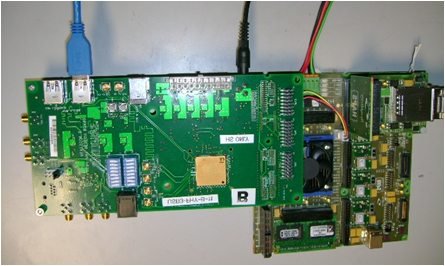 The USB 3.0 xHCI Host is implemented on our HAPS FPGA-Based Prototyping Platform with our Synopsys USB 3.0 PHY. Leave comments below, even if you disagree with me. This post is filed under HAPS, Synopsys USB Demonstration, USB 3.0, USB 3.0 Adoption, USB Certification, USB IP, USB Video.